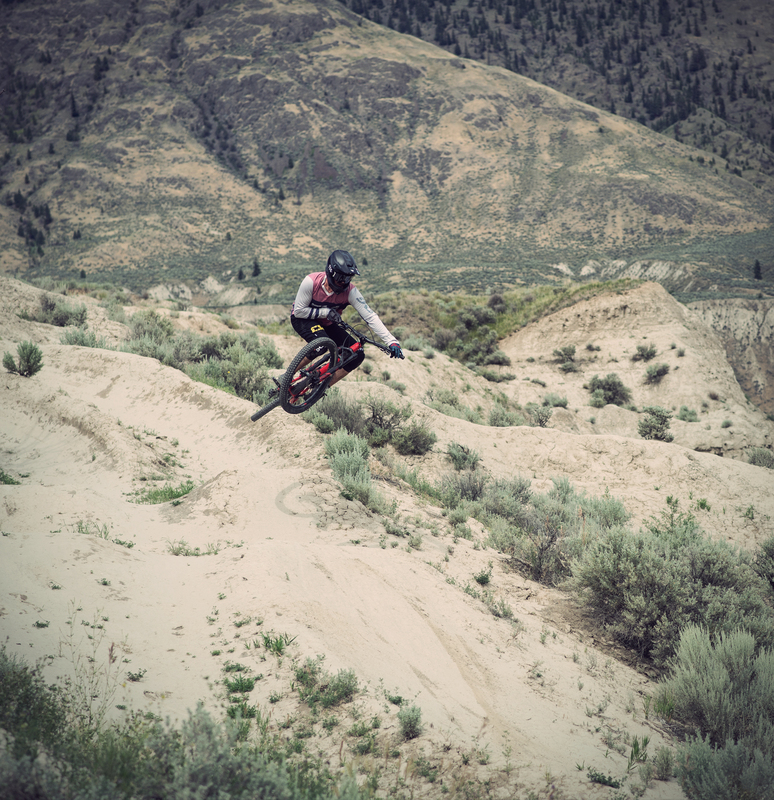 TSG Teamrider Lucas Huppert was invited to the Big White Invitational in Canda. 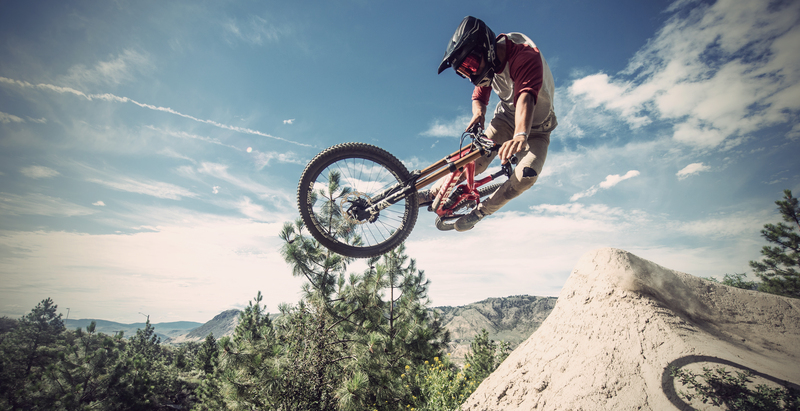 The contest near Kelowna, Canada took place for the first time and is the only slopestyle contest in North America. 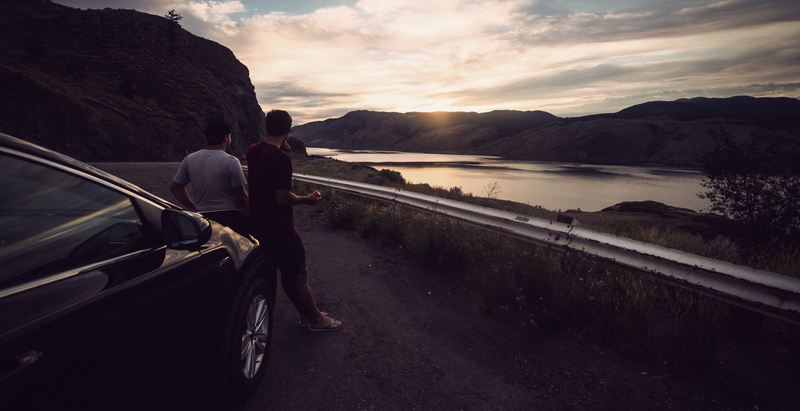 Read here what he experienced together with photographer Dominik Bosshard. Of course, you don’t refuse an invitation like that: TSG Teamrider Lucas Huppert aka Huppi was invited to the Big White Invitational in Canada. 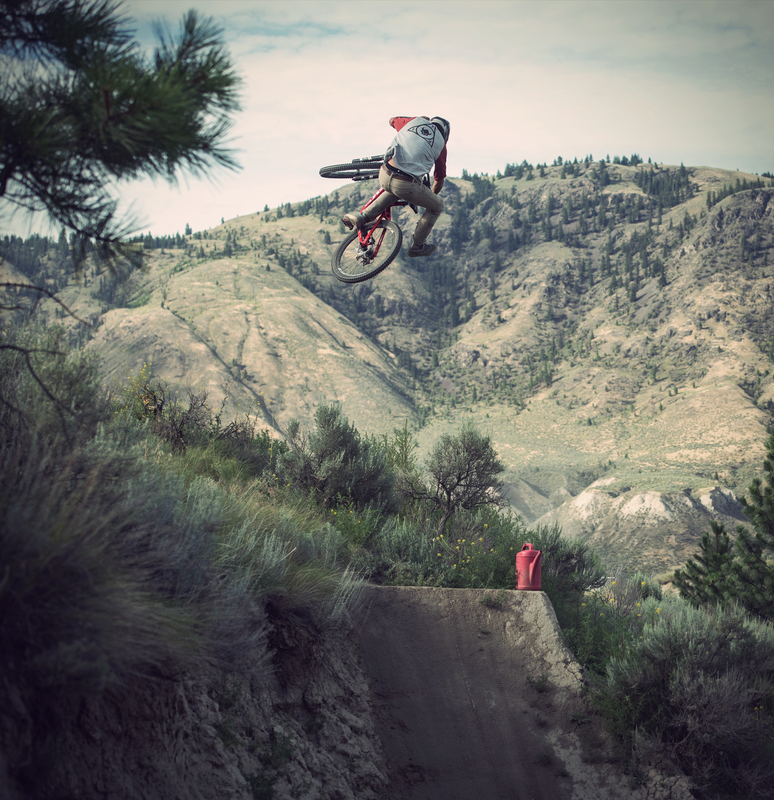 The contest near Kelowna took place for the first time and is currently the only slopestyle contest in North America. 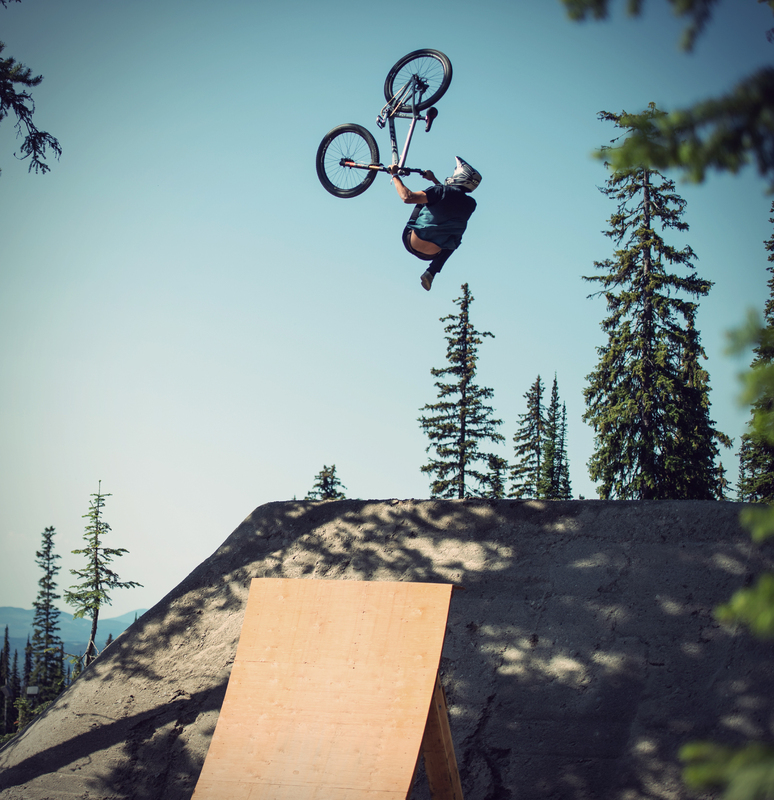 Organized by frontflip record holder Tom Vansteenbergen in a skiing area with the promising name “Big White”. Huppi packed his bags and set off on the very long journey together with Biroma team boss and photographer Dominik Bosshard: 10 hours flight and 6 hours drive! After about 27 hours on their feet, they finally arrived in Big White at night. The next day we went straight to the contest area. It was super windy and the jumps were huge. That made the training difficult and therefore the qualification on Friday was also cancelled. On Saturday there was a big final with 30 athletes. The contest was overshadowed by many and sometimes severe falls. 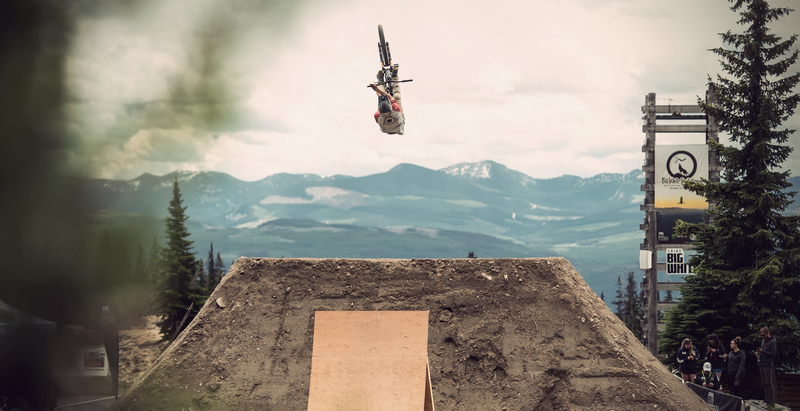 The riders risked everything on the huge jumps to win a wildcard for the legendary Red Bull Joyride in Whistler. The wildcard was given to the Italian Torquato Testa. For Lucas, the event was a complete success. He finished the contest with a sensational 7th place. Lucas started the contest in 17th place and made an amazing run: 360 on the Flat Drop, 360 Tobo at the Boonerlog. 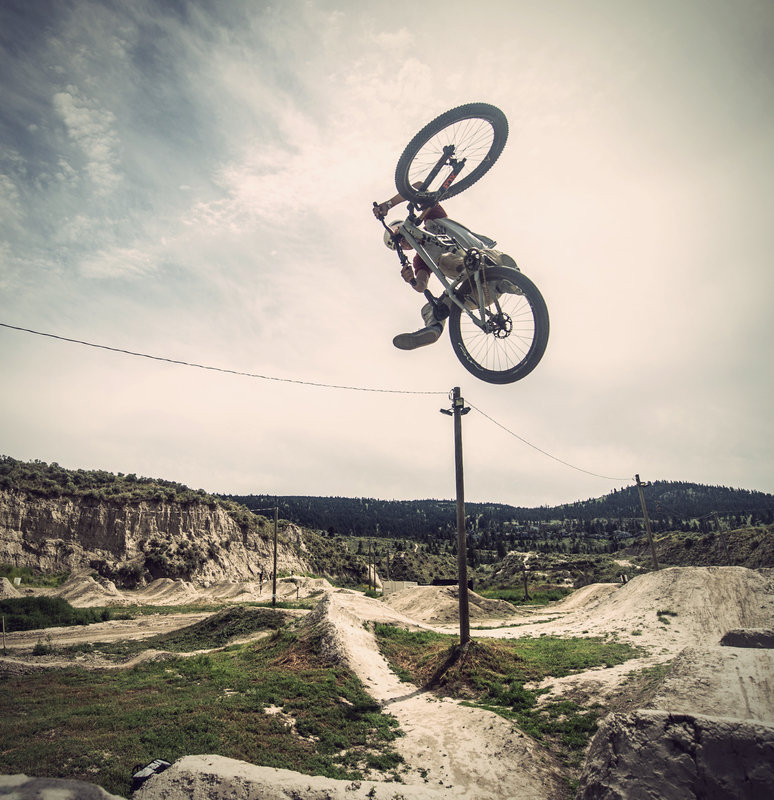 A Flip Whip, followed by a Cork 720 at the biggest jump. 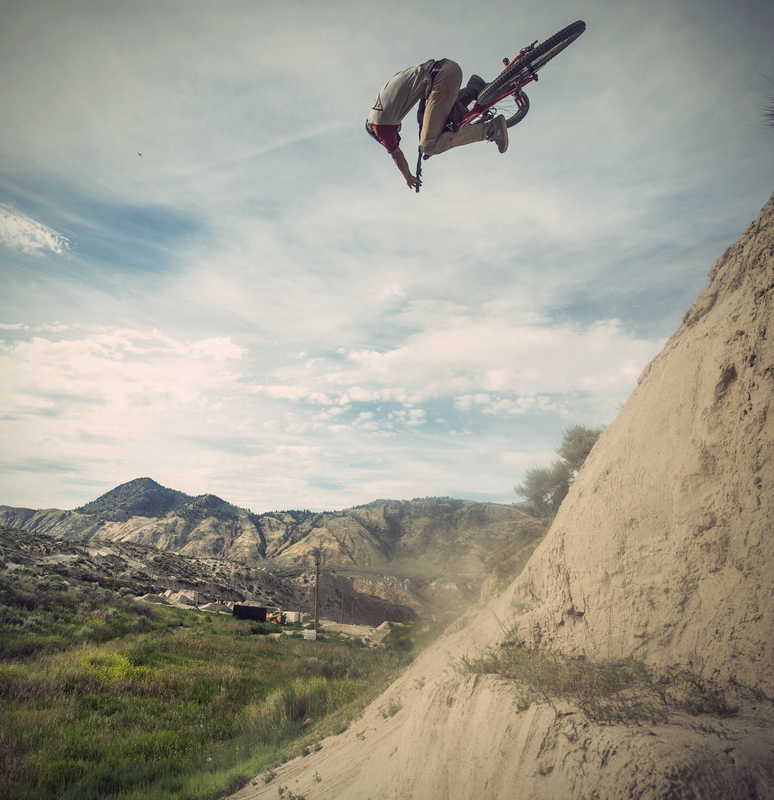 Into the Wahl Tail a Decade Down Side, out a 360 Bar and at the end a Doubel Whip. With this awesome and smooth run Huppi was in 2nd place for a long time. Unfortunately, he had some bad luck on the 2nd run and had to break up. With his sensational 7th place Lucas has worked his way up to position 28th in the world rankings. And hey, he’s only 18!!! Nicholi Rogatkin won ahead of Torquato Testa and the Canadian Anthony Messer. Click here for result list. After a short after party we went to bed early, we still had a lot to do in the two remaining days before our return flight. 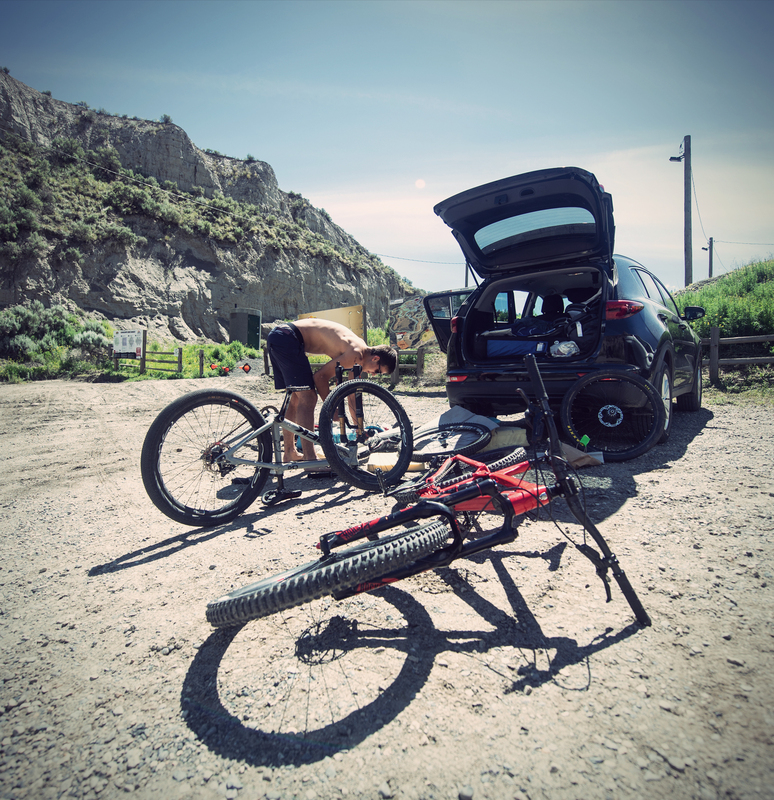 So we got up early the next morning, packed our stuff into the car and drove to Kamloops to the Bike Ranch. 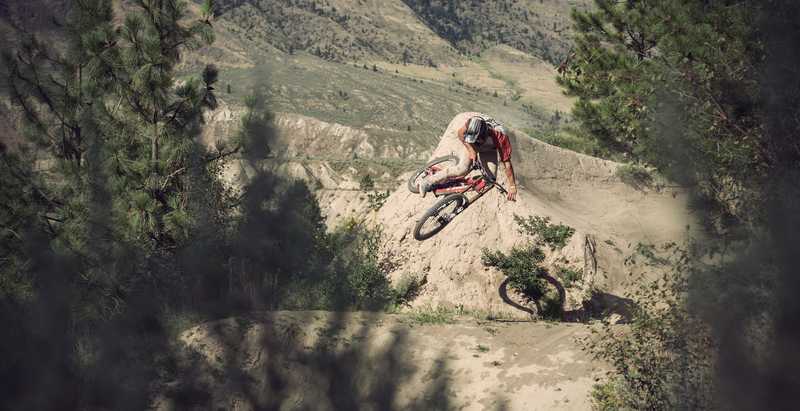 The Bike Ranch is by far the coolest place we have ever ridden. 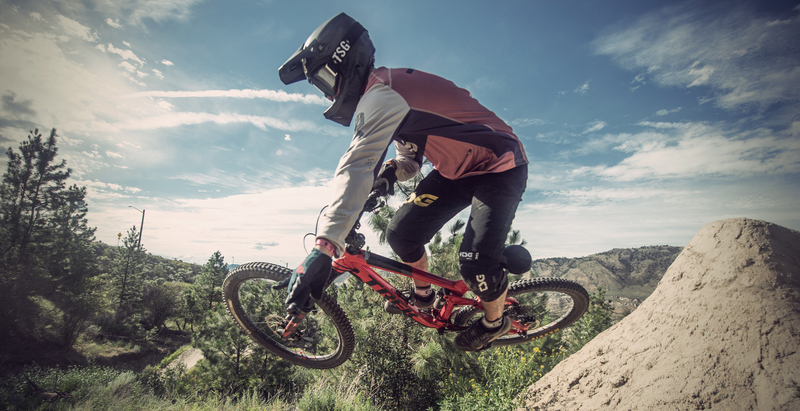 Dirt Jumps, BMX track, Fast Series Jumps, Big Bike Jumps, Hips Trails… You’ll find everything a biker’s heart desires! 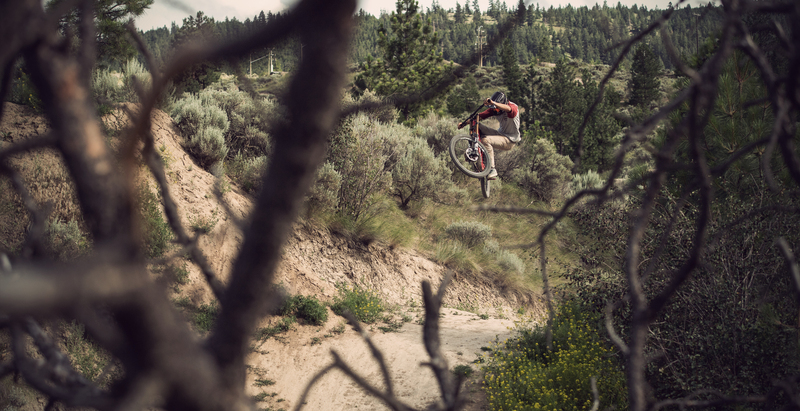 After a short dirt jump session with Rampage legend Graham Agassiz, who happened to be there, we shredded and shot all day long. Nothing more to report, so just enjoy the pics. and one more time. Steez! 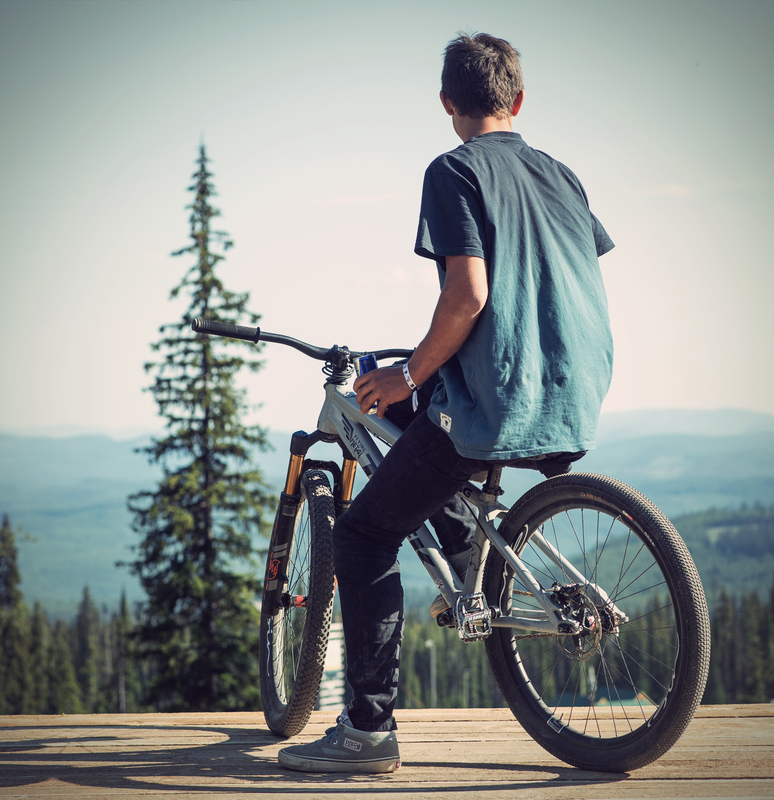 If you like what you see click here to find out more about the Bike Ranch. After a relaxing bath in the whirlpool of the hotel and a fine dinner with friends, we had to leave back home to Switzerland the next morning.